Alaaddin Beach Hotel is on the restful Cleopatra Beach in Alanya impressing people with its historical, natural and cultural properties as well as its holiday concept including sea, sand and sun. Alaaddin Beach Hotel started to provide service in 1965 with 20 rooms as Alaaddin Motel. It became a beaten track for the first local and foreign guests travelling via highways and was one of the leading facilities of tourism in Alanya for many years. It has reached its current view and room number by means of undergoing several modifications within years. Our double rooms are 20m2 and have twin beds or french beds. At least 1 adult and at the most 2 + 1 adults could accommodate in these rooms. 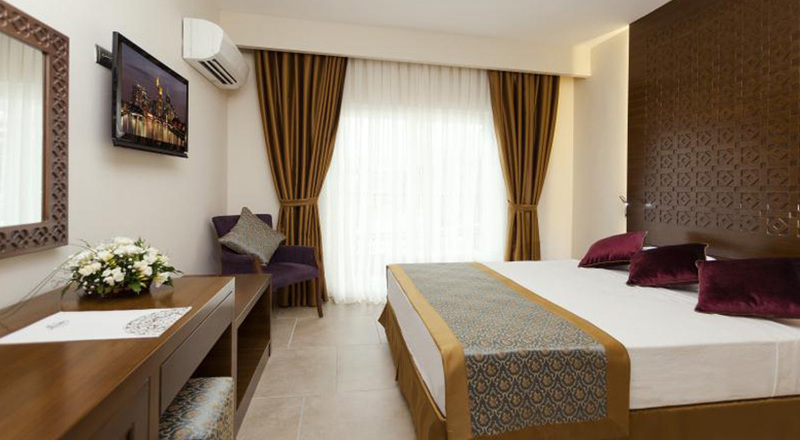 Our triple rooms are 23m2 and 33 m2. Each room has one french bed and twin bed. 3 adults or 4 adults could accommodate in these rooms. 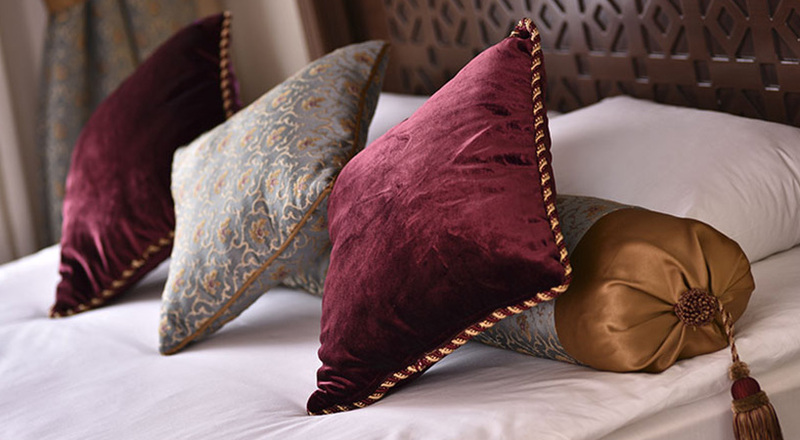 Our king suites are 50m2 and have french beds. At least 1 adult and at the most 4 adults could accommodate in these rooms. If you have questions or just want to get some information about our hotel? You can call us by phone. If you wish, call us directly and book a room by phone. You can also write us by email for a more detailed question, we can send you brochures. Here is the email address you can use for writing to our hotel. Want to visit us? Check availability for rooms or just have a quick introduction of our hotel. 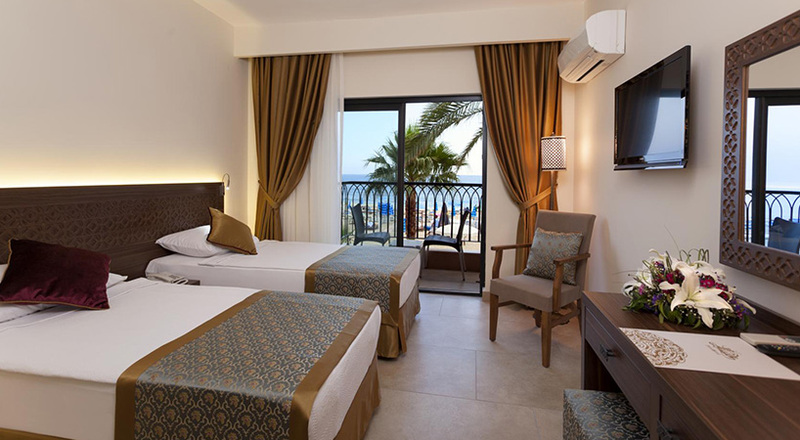 Alaaddin Beach Hotel is located at Cleopatra Beach.